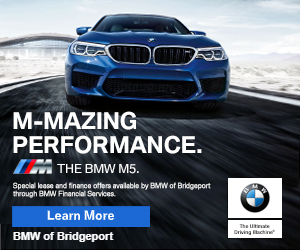 2019-04-03 @ 8:30PMish– Black Rock Turnpike is closed due to a serious crash near Tanglewood Road. Fairfield Fire Assistant Chief George Gomola said that firefighter had to extricate 2 from the car and one from the overturned pickup truck. All three were transported to the hospital with non-life threatening injuries. To ensure that no victims were thrown from the vehicles firefighters worked with police and used thermal imaging cameras to check down the embankments. 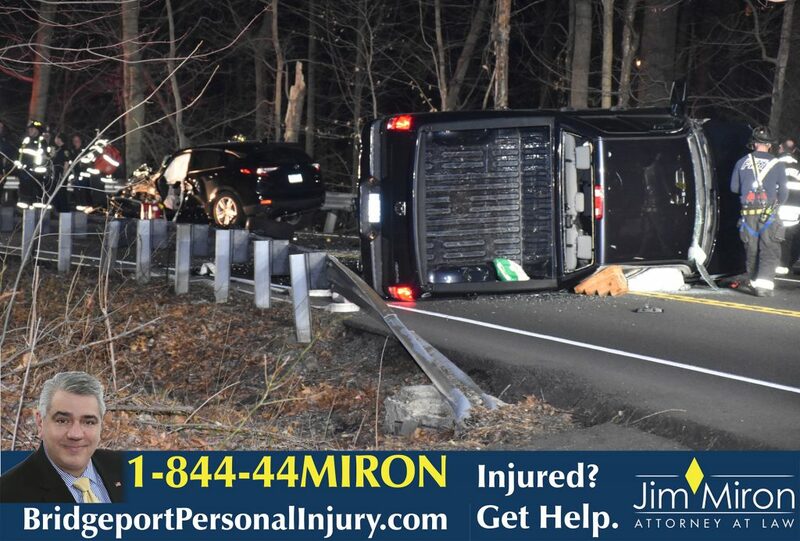 2019-04-03 @ 8:30 PM: Black Rock Turnpike está cerrado por un grave accidente cerca de Tanglewood Road. El jefe auxiliar de los bomberos de Fairfield, George Gomola, dijo que el bombero tuvo que sacar 2 del auto y uno de la camioneta volcada. Los tres fueron trasladados al hospital con lesiones que no son mortales. Para asegurarse de que no se arrojaran víctimas de los vehículos, los bomberos trabajaron con la policía y usaron cámaras de imagen térmica para controlar los terraplenes.